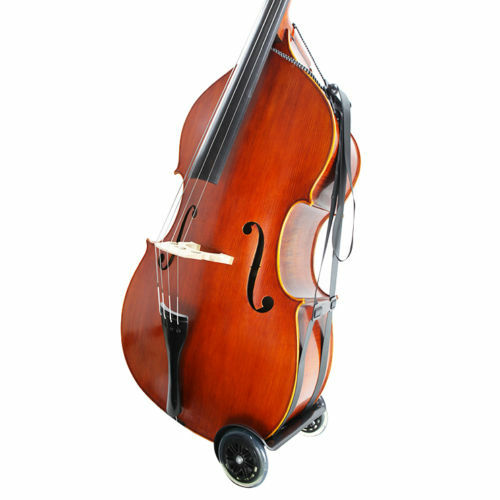 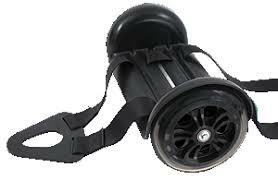 The Bass Buggie is an easy way to transport your Double Bass around that does not harm the instrument in any way. 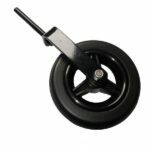 Made in the USA, the Bass Buggie utilises a flexible body that allows shock absorption to protect the instrument during travel. 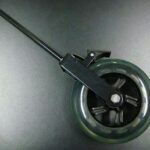 The fact that it does not attach to the lower block and apply pressure in the way an end pin wheel does, helps to prevent damaging impact from bumps and rough terrain. 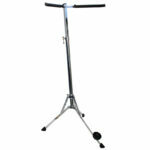 The Bass Buggy works both outdoors and indoors and allows the bass to be stood upright if needed. 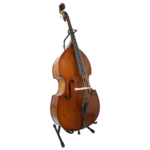 For added convenience, it can strap onto the Double Bass itself, with or without a bag, and is adjustable from a 1/10-size to 4/4.